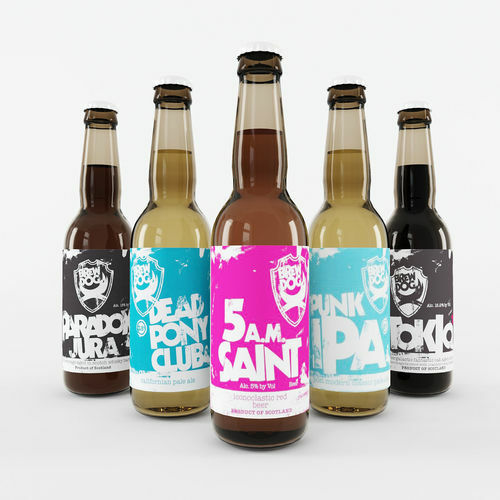 Collection of scottland craft beer Brewdog, old design. Also included glass of beer with open bottle. Modeled in realistic sizes and proportions. All geometry is high-poligonal. Preview images are rendered with 3ds Max 2012 and V-Ray 2.3. Photoshop or other photo editors not used. 3ds Max scene not included any lights and camera rigs and render settings, only geometry.